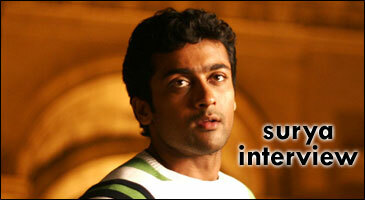 Tell us about your previous outing Surya s/o Krishnan? When Gowtam Menon narrated the story, I couldn’t resist. It was supposed to be a soft love story in the beginning. But the story of the movie underwent a change after Gowtam Menon’s father passed away. Gowtam introduced father’s character in the movie inspired by his father. That is the reason why sons connect with their fathers after watching this movie. What is the financial outcome of the movie? This film was sold for Rs 25 crores in Tamil and it collected Rs 25 crores. Surya s/o Krishnan became an abandoned child after the release as the producer didn’t care to promote the movie. Veedokkade is another type of entertainer. The story of this movie is inspired by articles that came in newspapers. Lots of magic happened while making Veedokkade film and it will be lost if it is remade in Telugu. That is the reason why it is being dubbed in Telugu. Veedokkade is about the mind game with an intelligent screenplay. The Tamil version generated great openings because the producer promoted the movie heavily. Tell us about the hero character in Veedokkade? It is not a regular hero type character. The characterization is highly realistic. I loved the screenplay. Jagan played the role of Godfather in the movie. I was so much impressed by Jagan’s character that I asked the director if I could play Jagan’s role. Do you have any inspiration to mold yourself in the hero character of Veedokkade? Yes. I took 'Catch Me If You Can' as the reference. Leonard Decaprio has done a terrific portrayal in that movie where he would do unimaginably daring things with cool demeanor. I also like Amitab Bachchan’s way of portraying realism even though his films are completely commercial. I took that aspect from Amitab Bachchan as well. I got lots of compliments that my acting is very natural in Veedokkade movie. What are the other highlights of Veedokkade? It cost twice the budget of Surya s/o Krishnan. We shot the movie in virgin locations in Africa. Yamakasi style fights were choreographed by foreign stunt choreographers. You seem to be having a flexible body? I am an ardent fan of Kamal Hassan and I admire the way he jumps from one character in one film to an entirely different character in another film. Kamal Hassan is my big inspiration. And that character should motivate me to experiment with my looks. Tell us about your 18-year old character in Surya s/o Krishnan. How did you manage such tender looks? My costume designer challenged me that heroes try to manage the looks without putting any real efforts. I took it as a challenge and shed 10 kgs in a span of 22 days. I went to my gym and consulted the dietician. I followed GM diet (General Motors diet) for those 22 days. I used to work out and burn 1000 calories a day. I also made sure that I got enough sleep. I drank lots of water. And the result was that I reduced my weight from 75 kgs to 65 kgs. How did you get the 6-pack for Surya s/o Krishnan? I got a nice advice from Aamir Khan who was building 6-pack for Hindi Ghajini. He recommended me his trainer from Delhi. It took around 5 months to build 6-pack. Which one do you like – Tamil Ghajini or Hindi Ghajini? I liked the script changes in Hindi Ghajini. What are your top 5 films among the ones you did? When are you going to do a straight Telugu film? I don’t want to be a dubbing hero. When I do a straight Telugu film, I want to contribute more with my own dubbing. I will dedicate my time and energies when I do straight Telugu film. You got terrific romantic scenes in Ghajini and Surya s/o Krishnan. What kind of person are you in real life? I am boring guy and not a romantic person at all. And thanks to those romantic stories in my movies, I got lots of female fans. How did Jyothika fall in love with you if you were not a romantic person? Opposite sides attract. She liked me because I am sober. Who are the most talented actresses you worked with? 1. Asin: She is really good. I like the way she come up in Hindi film industry. She proved herself in Bollywood. 2. Trisha: She is a fabulous actress. 3. Tamanna: She is not even 20 and she made a name for herself. She is very sincere at her work. You did Pithamagan in the past. Are you open for multi-starrers now? I neither work for money nor for satisfying my personal ego. I always keep the interest of my fans in mind before accepting any movie. I will do any multi-starrer as long as it entertains my fans. I have to make sure that my character is justified. How frequently do you browse internet? I started surfing internet recently. I visit my fan community in Orkut. I also browse IMDB. I view videos in Youtube. For Telugu films information, I mostly visit idlebrain.com. My next film will be directed by KS Ravi Kumar. I will do a character with grey shades in that movie. I accepted another film in the direction of Hari. I will play the role of a cop in that movie.